chilled in the fridge, you'd certainly love to have frozen durian potong. King's Potong has lots of variety: Red Bean, Black Glutinous Rice, Yam & Black Glutinous Rice and Durian. 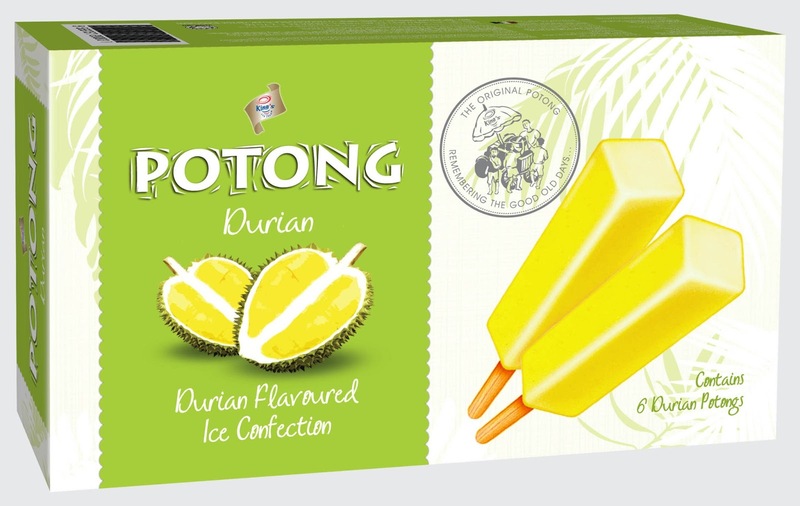 But what's new and amazing is the improved version of the durian variant. Definitely a must-try during this season! The durian variant does not exude any pungent aroma like the fruit itself, but it has a creamy texture with additional real durian puree that gives a more intense durian taste. Now durian lovers, how can you resist this? (3) Yam with Black Glutinous Rice. They're all made of real coconut milk, giving a rich luscious flavour, but I have yet to try them out. Perhaps my next pick would be the rest of the flavours so that I can share with my neighbour, friends and family. It can last for 2 hours without freezing! The good old days are back :) Thanks to King's Potong! 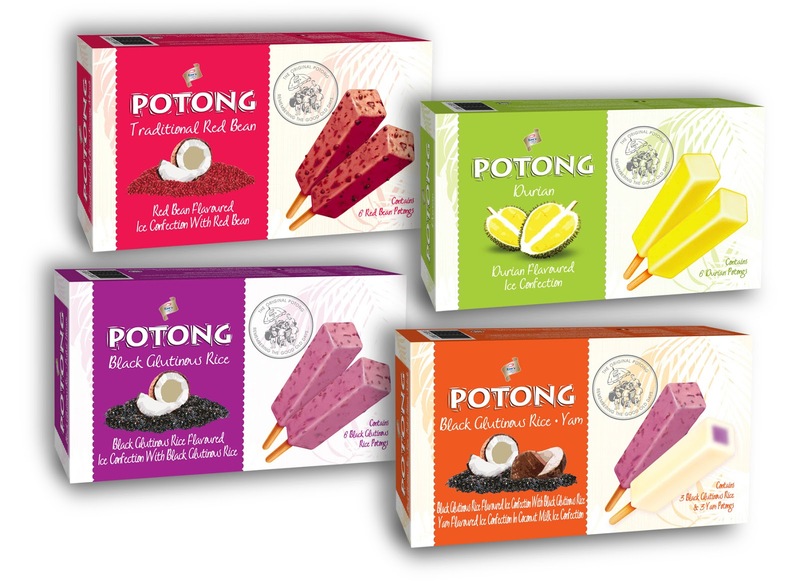 King's Potong is available in leading supermarkets and hypermarkets. 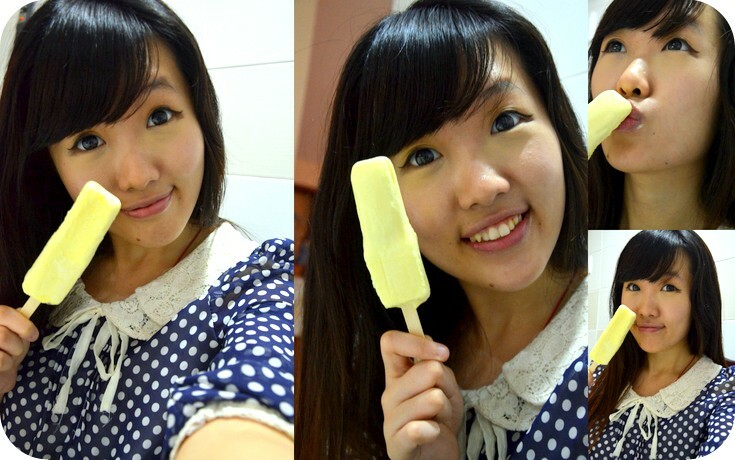 oh sch ice cream! My favourite is the red bean! 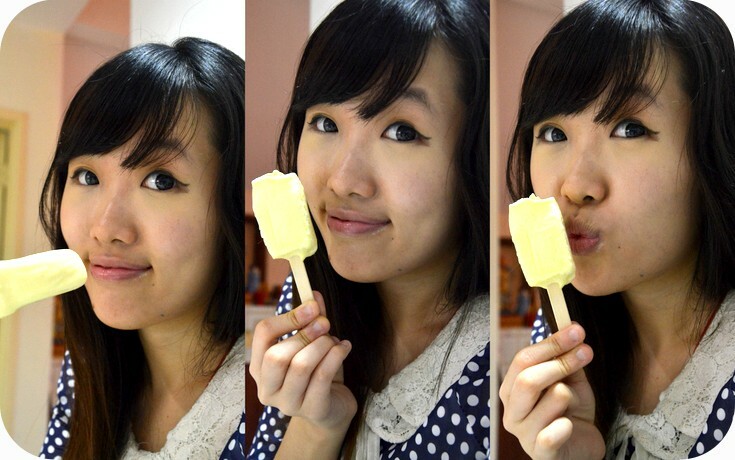 I eat 3 in 10 minute.so yummy.i cant stop it!! !